416 pages | 57 B/W Illus. This book brings together chapters from investigators on the leading edge on this new research area to explore on the leading edge on this new research area to explore common theoretical issues, empirical findings, technical problems, and outstanding questions. This book will serve as a blueprint for work on the interface of vision, language, and action over the next five to ten years. F. Ferreira, J.M. 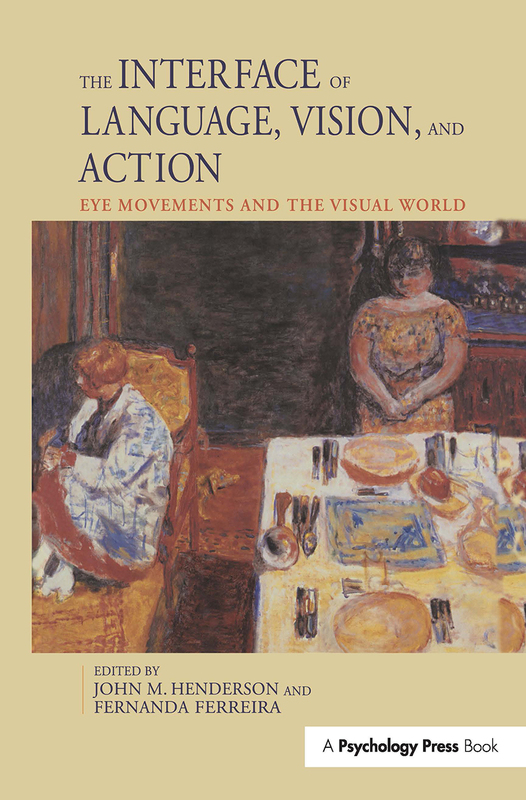 Henderson, Introduction to the Integration of Language, Vision and Action. J.M. Henderson, F. Ferreira, Scene Perception for Psycholinguists. K. Rayner, S.P. Liversedge, Visual and Linguistic Processing During Eye Fixations in Reading. D.E. Irwin, Fixation Location Duration as Indices of Cognitive Processing. J.M. Findlay, Eye Scanning and Visual Search. M.J. Spivey, D.C. Richardson, S.A. Fitneva, Thinking Outside the Brain: Spatial Indices to Visual and Linguistic Information. A.S. Meyer, F. Lethaus, The Use of Eye Tracking in Studies of Sentence Generation. Z.M. Griffin, Why Look? Reasons for Eye Movements Related to Language Production. K. Bock, D.E. Irwin, D.J. Davidson, Putting First Things First. M.K. Tanenhaus, C.G. Chambers, J.E. Hanna, Referential Domains in Spoken Language Comprehension: Using Eye Movements to Bridge the Product and Action Traditions. J. Trueswell, L. Gleitman, Children's Eye Movements During Listening:Developmental Evidence for a Constraint-Based Theory of Sentence Processing. G.T.M. Altmann, Y. Kamide, Now You See It, Now You Don't: Mediating the Mapping between Language and the Visual World.